More about VW: Volkswagen has hired Thomas Sedran, former head of GM’s Opel division, to run its group strategy. Sedran is the second outsider recruited to join team as the German automaker loses its No. 1 in global sales ranking and deals with its diesel emissions scandal. Christine Hohmann-Dennhardt, a former judge from Germany’s top court, has been brought into VW to head its legal and compliance division. Differences in how European regulatory agencies view and measure emissions was a top issue over the past week. Europe has been considered behind the U.S., and some of that has to do with their testing model based on carbon emissions buts giving less attention to nitrogen-oxide (NOx) emissions, which is a key measure in the U.S. for air pollution. Growth forecast for biogas: Biogas, which can also be classified as renewable natural gas and biomethane, is starting to show signs of extending beyond academic test studies into commercial-scale motor fuel. A new Navigant Research report focuses on four feedstock sources in the global market: waste, industrial, agricultural, and sewage. Capacity and revenue, segmented by feedstock source, end use (electricity, renewable natural gas injection, and transport), region, and selected country, through 2024 are examined in the study. The study forecasts that the global cumulative revenue from biogas production should reach $25.8 billion by 2024. Growth is expected to come from gaining regulatory support and government incentives, and playing a role in meeting expanding renewable energy targets. Testing out carsharing: Automakers and carsharing companies are sponsoring promotional test projects in urban centers. General Motors’ new “Let’s Drive NYC” offering is reaching out to young urban professionals in New York City. GM is working with a New York real estate firm where residents can purchase access to a fleet of shared SUVs parked in their garage. Daimler has tested out a shared mobility partnership with a suburban home developer in Southern California. Carsharing giant Zipcar has worked with apartment giant Equity Residential, which owns upwards of 110,000 rental units, in cities including New York, Boston, Seattle, and Washington, D.C.
China growing EV market: China is becoming a booming market to produce and sell electric vehicles in the consumer, fleet, and transit markets. Sales have been down in the past year, but the national government is committed to seeing growth in the market through incentives. Tesla Motors has been pleased to negotiate with officials on Chinese production, and will begin assembling cars in that country in two years, CEO Elon Musk said. UQM Technologies has received a purchase order for its PowerPhase electric propulsion systems for ITL Efficiency, a Beijing-based subsidiary of China’s Eastlake New Energy. Revenue may be in excess of $400 million over a ten-year period, UQM said, for shuttle and transit buses and medium-duty trucks. ZAP and Jonway Auto have increased factory production capacity and running operations at seven days a week, with production of around 50 EV minivans per day in order to meet pressing backlog orders from Dong Feng Motor Corp. in the Chinese market. Back to the Future DeLorean: For some fans of advanced vehicle technologies, the fast time-traveling DeLorean powered by garbage as engine fuel in the “Back to the Future” trilogy stands out in their memories. Toyota participated in 30th anniversary of the first film in the series with a commemorative video with the film’s stars, Michael J. Fox and Christopher Lloyd. It also serves as a kickoff to the U.S. debut of the 2016 Toyota Mirai hydrogen fuel-cell vehicle. Charging station connectivity: Growing electric vehicle charging station networks in the U.S. and abroad will require a lot more than setting up stations and supplying them with power. Communications equipment, payment systems, and consumption data collection is needed for public charging stations to increase their presence and functionality. In a new Navigant Research market forecast, the consulting firm projects that global communications equipment and services associated with EV charging networks is expected to generate revenue of just over $62.8 million in 2015 and grow to more than $709.7 million in 2024. Highlights from UCLA Luskin Center’s Impact report: Factors that influence plug-in electric vehicles sales in California; Overcoming electric vehicle adoption barriers for apartment and condominium residents; Assessing the state of the state’s PEV policies; and Paving the way for complete, living streets that create vibrant, productive, and sustainable communities. Honda’s tech revolution: Honda is about to launch a new round of powertrain technologies with the goal of boosting fuel economy and performance and reinforcing the company’s reputation for innovation. The new technologies range from a new-generation plug-in hybrid powertrain that gets 40 miles of range on its battery; a 10-speed automatic transmission; a lean-combustion cycle that gains ultrahigh thermal efficiency; and unveiling the production version of its hydrogen fuel-cell vehicle at the 2015 Tokyo Motor Show. That fuel-cell vehicle’s platform will also be used in the 2018 plug-in hybrid. Pre-orders of Mirai: About 2,000 people have placed orders for the Toyota Mirai hydrogen fuel cell vehicle that just arrived for sale in the U.S. in select California markets. Only about half of those orders will be fulfilled in the 2016 model year, Toyota says. 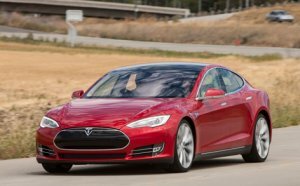 Lane changing and self-parking features in Autopilot: Tesla Motors is offering car shoppers a leap forward in autonomous vehicle technology – an option with automated lane changing and self-parking features. As part of Tesla’s new Version 7.0 software package in the Model S, Autopilot will be transmitted to cars in the U.S. over the next week, followed by Europe and Asia. 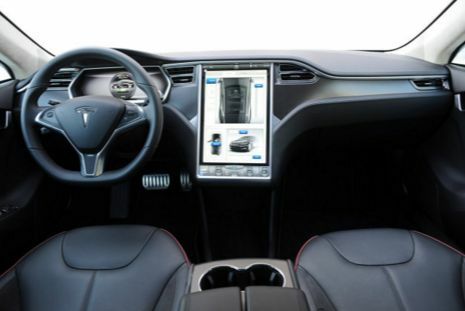 Tesla’s new Model X sport utility vehicle will also offer Version 7.0 and Autopilot. 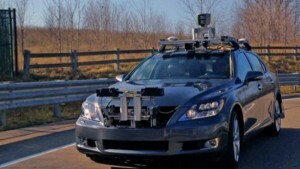 Customers must pay a one-time fee of $2,500 to activate the self-driving software when they buy a car, or $3,000 to activate the feature after delivery. The software update uses cameras, radar, ultrasonic sensors, and data to steer down the highway, change lanes, and adjust speed in response to traffic. The driver can follow a lane on the highway and change lanes using the turn signal. The 7.0 software and Autopilot can deliver parallel parking that detects an open parking space and takes control if the driver asks for the car to park itself. More on VW scandal: Volkswagen continues to be dragged into a quagmire over its TDI diesel models. Three people “familiar with the matter” told Reuters that the automaker made several versions its “defeat device” software to falsify diesel emission tests. Over seven years, VW altered its software for four engine types…… VW will be pulling out of the diesel market, and its competitor General Motors said it will be ramping up its diesel efforts. GM’s Mark Reuss said the upcoming Chevrolet Cruze Diesel and the diesel program for Cadillac are still in the works……. Paramount Pictures and Leonardo DiCaprio’s production company have acquired movie rights to a book proposal by New York Times journalist Jack Ewing about the clean diesel scandal. They’re still in the early stage of production, so the movie won’t be coming out anytime soon.…….. VW plans on bringing more plug-in hybrids and battery electric vehicles to market to shift focus away from its diesel technology. The company is confident it can create components for EVs with ranges as far as 310 miles; that strategy may include redesigning the flagship Phaeton sedan as a battery electric model. Award given at LA Auto Show: The annual Green Car of the Year Award will be named next month at the LA Auto Show. Here are the five 2016 model year finalists: Audi A3 Sportback e-tron: The plug-in hybrid hatchback starts at $37,900 and goes 19 miles on electricity alone through its 8.8 kWh lithium-ion battery. Chevrolet Volt: The revamped Volt has a 20% larger battery with 53 miles per charge and 420 total miles of cruising available. Improved handling and acceleration make it fun to drive. Honda Civic: Honda thinks EPA estimates, which have yet to be released, will be over 40 mpg combined without electrification. Coupe and five-door hatchback variants are coming, and it’s the first Civic to feature a turbocharged engine. Hyundai Sonata: It’s available with gasoline, hybrid-electric, and plug-in powertrains. The plug-in should achieve 24 miles on just battery power, and the hybrid gets about 43 mpg on the highway. Toyota Prius: A smaller battery gives offers more space to store cargo, and Toyota predicts the new Prius will achieve 10% greater mileage than before. Prius upgrades: Toyota is providing details on the all-new 2016 Prius, launched at a Las Vegas event about five weeks ago. Buyers can choose either its conventional nickel-metal hydride batteries or a more advanced lithium-ion battery pack. Toyota says the drivetrain is more efficient – improved aerodynamics, weight-saving measures, and a re-engineered powertrain, should bring a 10% fuel economy improvement. The new Prius is being launched during a time when the long-anticipated Mirai hydrogen fuel cell car comes the U.S. In Tokyo last week, Senior Managing Officer Kiyotaka Ise said during an environmental forum that the global automaker plan to stop manufacturing traditional gasoline engine vehicles by 2050. Toyota wants a 90% cut in carbon dioxide emissions from new vehicles by 2050, compared with 2010 levels. That will come from hydrogen fuel cell vehicles, hybrids, and electric cars. HorseFly electric drone: The Workhorse battery electric “HorseFly” package delivery drone has won U.S. Federal Aviation Administration authorization for test flights. It’s been designed to work in tandem with Workhorse battery electric delivery trucks, reducing driver workload. Testing has been granted at the Ohio/Indiana UAS Center and Test Complex. Drive the Dream EV event: Last week, the California Plug-In Electric Vehicle Collaborative, Governor Jerry Brown and a group of more than 40 California leaders met at Drive the Dream 2015. The group announced new initiatives aimed at accelerating the continued adoption of plug-in electric vehicles and workplace charging in the state. Announcements to deploy more electric vehicles and charging stations were made by the U.S. Department of the Navy, Honda, San Diego Gas and Electric, NBCUniversal, PG&E, Coca-Cola Co., Los Angeles Department of Water and Power, Ford, Southern California Edison, NRG, CBRE, and Vision Fleet. Honda charging stations: American Honda Motor Co. is adding 120 new electric vehicle (EV) chargers at its Torrance, Calif., headquarters. The new chargers will be installed in two phases, the first of which has already begun. Ultimately, Honda estimates that the chargers will enable hundreds of associates to use an EV for commuting to work. Volvo electric targets: Volvo is developing its first all-electric car and broadening its range of plug-in hybrid vehicles, and expects electrified models will account for 10% of its global sales by 2020. The automaker will bring plug-in hybrid technology to its 40-series vehicles; and will offer the full-electric vehicle by 2019. Westport and Volvo Group Deal: Westport Innovations has entered into new agreements with Volvo Group for the development, commercial launch and supply of Westport High Pressure Direct Injection (HPDI) 2.0 technology in its heavy-duty trucks over the next several years. Westport says that HPDI 2.0 continues to be the only natural gas system that can offer “same as diesel” horsepower, torque, transient response, engine braking power and fuel economy. It also provides up to 20% reduction in greenhouse gas emissions compared to equivalent diesel engines. Investing in EV technology: Pacific Gas and Electric Company (PG&E) plans to invest one-third of its annual fleet purchases in electric vehicles and plug-in hybrid vehicles over the next five years, totaling more than $100 million. PG&E operates approximately 1,400 plug-in electric and electric hybrid vehicles, one of the largest fleets of plug-ins in the nation. The $100 million investment will add more than 750 plug-in electric units to PG&E’s fleet of over 14,000 vehicles. “Northern California Clean Technology Forum” featured informative speaker panels and introduction to the Toyota Mirai hydrogen fuel cell car. Held at the California Automobile Museum in Sacramento on Oct 14-15, and hosted by the Sacramento and East Bay Clean Cities Coalitions, stakeholders in the region met to mingle, hear the latest on advanced vehicle technologies, and check out exhibited vehicles including plug-in electric school buses; there was also one of the few remaining GM EV1 models on display in the conference room. The event kicked off Wednesday with a tour of the Sacramento CNG Station and Natural Gas Compliant Shop. A welcome reception started off the evening prior to the East Bay Clean Cities Coalition 2015 Clean Air Champion Awards. Richard Battersby, Equipment Services Manager for the City of Oakland and Coordinator and Executive Director of the East Bay Clean Cities Coalition, handed out awards to: Ben Rutledge, Resident Engineer, Anheuser Busch In-Bev, Fairfield Brewery; Pat O’Keefe, Vice President and Lori O’Keefe, Project Manager, Golden Gate Petroleum; Nina Hapner, Environmental Director and Fred Carr, EV Project Director, Kashia Band of Pomo Indians of the Stewart’s Point Rancheria; Phillip Kobernick, Sustainability Project Manager, Alameda County; and Kent Leacock, Director of Government Relations, Proterra. On Thursday, Keith Leech, President of Sacramento Clean Cities and Chief, Fleet Division & Parking for Sacramento County, made opening remarks on topics to be addressed during the day. The first speaker panel started with Kerry Drake, Associate Director at the U.S. Environmental Protection Agency – Region 9, talking about the gains being made in the Central Valley to meet the EPA’s top priorities, public health and greenhouse gas emissions reductions. Drake compared the museum’s vehicle display of classic cars going back to the 1920s to where we are now; he described his trip to the museum using Google Maps, being a carsharing subscriber, and looking forward to seeing the upcoming Tesla Autopilot. Mike Tunnell, Director of Environmental Affairs at American Trucking Associations, talked about the trucking industry facing the second phase of the federal regulations on fuel economy and emissions. Technology innovations need to be reached for this to be possible, Tunnell said. Waste heat recovery, 6×2 axle configurations, automatic engine shutoff, low rolling resistance tires, and automatic tire inflation are resources being tapped into for mileage improvements. Bill Van Amburg, Senior Vice President at CALSTART, gave an overview of 2016 model year roll-outs in clean vehicles. The Mirai, a Japanese word for “future,” was up on the stage with Van Amburg and other speakers; that fuel-cell vehicle is launching this month in California. The 2016 Toyota Prius, with its revamped exterior, is also being anticipated in the market. On the commercial vehicle side, Van Amburg discussed innovations being adopted as increased fuel economy pushes forward in Phase 2 of the federal rules; breakthroughs on this front include a Freightliner model that has increased from 6 mpg to 12 mpg and a Cummins engine with NOx 90% below its 2010 level. Renewable natural gas is coming to market, and Cummins said that the clean fuel can now be used in its 6.6L and 12L engines. Two other innovations that Van Amburg discussed include the Cadillac Super Cruise hands-free system rolling out in 2017 Cadillac models; and the Workhorse battery electric “HorseFly” package delivery drone winning U.S. Federal Aviation Administration authorization for test flights. Rich Piellisch, Editor of Fleets & Fuels, moderated a panel on renewable fuel sources moving forward as a viable alternative for fleets. Speakers included Teri Rohner, CA DGS Natural Gas Services Program on renewable natural gas; Pat O’Keefe, CEO of Golden Gate Petroleum on renewable gasoline and diesel; Chris Kretz, Business Development Manager at Air Products on renewable hydrogen; and Bill Boyce, Electric Transportation Supervisor at Sacramento Municipal Utility District (SMUD) on renewable electricity. During that same day, the City of Oakland announced its commitment to renewable diesel when the first of its vehicles filled up with NEXDIESEL renewable diesel during a gathering of the Public Works Department, its supplier Golden Gate Petroleum and fuel manufacturer, Neste. Golden Gate Petroleum sells Neste’s NEXBTL renewable diesel under its own brand NEXDIESEL renewable diesel and had display cars outside the automotive museum. Green Auto Market Editor Jon LeSage moderated a panel on future vehicle technologies and transportation trends. Jean-Baptiste Gallo, Senior Project Engineer at CALSTART; Jason Schulz, Partnership Marketing Manager & Business Development for the 21st Century at Toyota; and Tim Lipman PhD, Co-Director at the Transportation Sustainability Research Center, UC Berkeley, talked about the “urbanization” trend with traffic congestion and air pollution driving policy changes and increased use of transportation alternatives such as carsharing and ridesharing. Carsharing services such as Zipcar and Car2Go are taking off in membership, and ridesharing services from Uber and Lyft are seeing gains in permission to pick up at airports and in ridership numbers. With predictions of another one billion people living on the planet by 2025, Toyota is looking at alternatives such as the electric I-Road three-wheeler being testing out in Japan, Schulz said. Automakers are looking at the changing transportation options that members of the Millennial generation who put off car purchases longer than previous generations, and who are looking for practical options in personal mobility in crowded cities. During the panel’s discussion of autonomous vehicle technologies, Schulz said that for OEMs, safety is the driving force behind supporting test projects such as Mcity in Ann Arbor, Mich. Toyota, Honda, GM, and suppliers are exchanging data from the Mcity project to develop autonomous technologies and take away the 33,000 fatalities per year figure that continues in the U.S. Safety issues and cyber security are being addressed in the autonomous vehicle studies, as is the question of whether driverless cars will take away road traffic congestion, Lipman said. If long commutes become easier for watching TV or reading a book, it can take away the motivation to drive less miles and remove some of the traffic congestion, he said. Lipman and his colleagues have seen a strong convergence between electrified and autonomous vehicle technologies. Electrification of urban fleets is seeing gains in passenger vehicles and truck options, Gallo said. Energy storage, smart grid technologies, and electricity price planning are being explored by companies. A recent CALSTART study analyzed how fleets are integrating electric vehicles including delivery trucks and transit buses. Managing through demand periods when energy costs rise is still new for a lot of fleets, and they’re testing out solutions in the new vehicle-to-grid systems. An afternoon session featured fleet success stories using GPS/telematics for sustainability gains. Dave Head, President of NorCalMEMA; David Worthington, Fleet Manager, Sonoma County; Doug Bond, Fleet Manager, Alameda County; and Sam Pence, Heavy Equipment Mechanic Leadworker, CalTrans, participated on this panel. VW diesel emissions scandal: The biggest automotive scandal of the year (and maybe the decade) carries on….. Consumer Reports did some road testing with TDI diesel Volkswagen models and found mild differences in the reporting. The team tested a 2011 Jetta SportWagen TDI, powered by the now-discontinued EA 189 engine, and a 2015 2015 Jetta TDI sedan, which is equipped with the company’s new EA 288 engine. The newer engine has the latest in diesel emissions technology, a selective catalytic reduction system, while the older model does not; and both are included in the 482,000 unit U.S. recall. The 2015 VWs’ fuel economy slipped from 53 to 50 mpg in the tests, while older models’ fuel efficiency went from 50 to 46 mpg. The new model drove from 0-60 in 9.1 seconds in regular driver mode and 9.2 seconds in “cheat mode,” and the 2011 Jetta slowed from 9.9 seconds to 10.5 seconds……. W’s credit rating was cut one level by Standard & Poor’s, which said the German carmaker’s cheating on U.S. diesel-emissions tests indicates management weaknesses that may lead to a further debt downgrade……… California has given Volkswagen until November 20 to come up with a plan to fix diesel models affected by its deceptive emissions tests, according to the California Air Resources Board……… VW is offering a $2,000 loyalty bonus to current owners of its diesel and gasoline models, which can be used to buy a new gasoline or hybrid 2015 or 2016 model……. Volkswagen of America is wiring additional “discretionary funds” to dealers in its network to be used as incentives, sales bonuses, and floorplan subsidies. Diesel models have made up more than 20% of sales for VW and Audi dealers in the U.S., so incentives are needed to deal with the downturn. Clean Tech Forum: The Sacramento Clean Cities Coalition will be holding the Northern California Clean Technology Forum on October 14-15th at the California Automobile Museum in Sacramento, Calif. A tour of the Sacramento CNG Station and Natural Gas Compliant Shop will take place on the afternoon of the 14th and a reception will be held that evening. Panel discussions and networking will take place on the 15th. This year’s event will showcase vehicle and fuel technologies in the next two years and the next two decades. I’ll be moderating a speaker panel on Oct. 15, “A Panel Discussion on Future Technologies,” featuring Jason Schulz, Partnership Marketing Manager & Business Development for the 21st Century, Toyota; Jean-Baptiste Gallo, Senior Project Engineer, CALSTART; and Tim Lipman PhD, Co-Director Transportation Sustainability Research Center, UC Berkeley. You can view the agenda here. BlueIndy adds to carsharing membership: The new electric carsharing service in Indianapolis, BlueIndy, has surpassed the 500-member mark and the number of trips have passed the 1,500 mark. The electric service launched on September 2 and quickly began registering daily, weekly, monthly, and yearly memberships. The vast majority of members opt for the yearly plan which is the most economical with a 20-minute ride costing just $4. Indianapolis is the first American city to use the Bluecar, an electric vehicle developed by the Bolloré Group. Indianapolis was selected to be the US showcase for this unique service, with plans to expand to other leading cities around the globe; the city’s fleet has been dedicated to deploying electric vehicles and accessing carsharing services. Smart parking solutions: Finding parking in crowded city spaces is gradually becoming a major source of stress and more air pollution around the world. The parking industry is being transformed by new technologies that are enabling cities to reduce levels of congestion significantly. Sensor networks that detect vehicle occupancy are providing the basic intelligence behind smart parking systems. Adoption of these necessary technologies has been slower than expected, according to a Navigant Research study, but government funding is helping system adoption to grow steadily. Another solution has come from other segments of the market, such as universities, airports, and corporate campuses, ramping up deployments of smart parking systems. Propane autogas recognition: At this year’s BusCon Expo in Indianapolis, the Propane Education & Research Council partnered with METRO Magazine to recognize five top transit fleets for their use of clean, domestic propane autogas. Groome Transportation, Historic Tours of America, Inter-County Public Transportation Authority, LeeTran, and VIA Metropolitan Transit were each presented a “Top User of Propane Autogas” award. These transit agencies and transportation companies are operating hundreds of propane-powered vehicles for significant emissions reduction, cutting operating costs, and decreasing dependence on foreign oil. Peak year of fossil fuel use? Yes, according to global futurist David Houle. The supply of oil is far outstripping demand, and we’ll never see the $100 per barrel price of oil again. What’s behind it? “The transportation and building sectors have become vastly more energy efficient than in 2000, or even 2010. The price of alternative and renewable energy has dropped dramatically in the last ten years and is now comparable in cost to fossil fuels as a source of electricity. 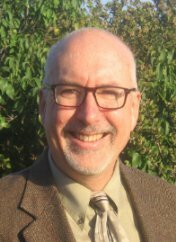 There is a rapidly growing critical mass of people who fully see and understand the magnitude of climate change,” Houle predicts. He also predicts that oil producing regions – Middle East, Africa, and Latin America – all have an abundance of sun and wind and will turn to them for their own energy rather than spending money on gas subsidies for their citizens. Hyperloop taking shape: Originating in August 2013 when Tesla CEO Elon Musk issued a whitepaper on the 700-mph low-pressure tube train, Hyperloop Technologies Inc. is seeing gains. The team of over 50 full-time employees was founded in 2014 by Brogan BamBrogan and Shervin Pishevar, and is headquartered in the downtown Los Angeles Arts District; with former Cisco President Rob Lloyd joining the company as CEO. The team of engineers are focusing on everything from rockets, to turbines, to laser communication systems, to electric vehicles, and fusion energy research diagnostics. Model X SUV rolls out: The long-awaited Tesla Model X was unveiled a week ago at a warehouse party in Fremont, Calif. The luxury all-electric SUV gets 257 miles on one charge and can reach 60 mph in 3.2 seconds in Ludicrous mode. As we’ve know about for three-and-a-half years, it comes with futuristic falcon-wing doors. It is an expensive car, reminiscent of the BMW i8; the Model X comes with a $132,000 price, plus delivery and other fees. The Tesla Model S has been selling in various editions from about $75,000 to around $100,000 and lease payments have been in the $1,100 to $1,300 per month range. There are no details released yet on what the Model X will cost in payments through financing options, but it has required a $40,000 deposit. Demand is strong, even at its high price. There should be a lot more owners lining up for the cheaper Model III, which is due to roll out in 2018. Chevy Volt attack ads: When the revamped 2016 Chevrolet Volt rolls out next spring, General Motors has plans to attack its arch enemies, the Nissan Leaf and Toyota Prius. 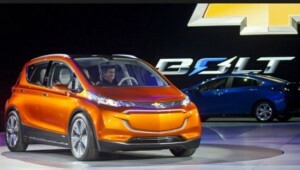 At the press launch in San Francisco, Chevrolet executives showed the ads to automotive journalists. The Volt ads focus on three messages: The car’s 53-mile all-electric range, its advanced technology, and a combined gasoline and electric driving range of more than 400 miles. The 2016 Volt has a sticker price of $33,995, including destination – down from the 2015 price of $35,110 including shipping. 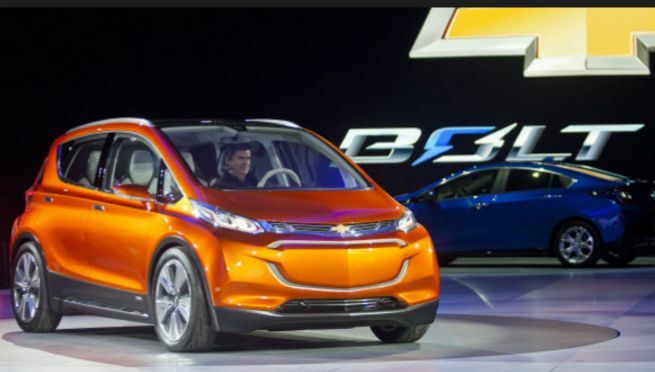 GM gets into personal mobility: General Motors will be investing $5 billion to take on new challengers such as Apple, Google, and Tesla, CEO Mary Barra said. During the Thursday meeting at its GM Proving Grounds near Detroit, Barra also announced the automaker’s “Let’s Drive” carsharing program in New York City. It will be available to eligible residents of The Ritz Plaza, who will have access to a GM vehicle for three hours each month. Those interested can buy more carsharing hours at a nominal rate. In related news, GM discussed plans to test out a fleet of autonomous 2017 Chevrolet Volt plug-in hybrids at its Tech Center site in Michigan. 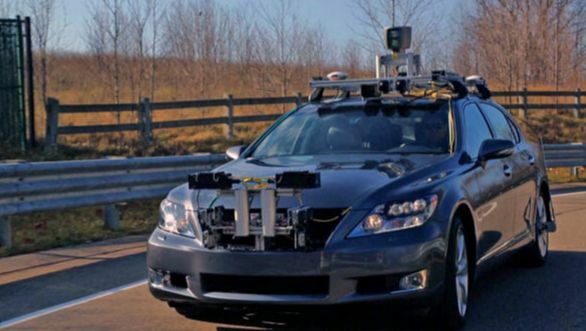 Employees will use the vehicles to get around the 326-acre campus in Warren, Michigan. RNG buses: Orange County Transportation Authority (OCTA) in Southern California plans on switching over to renewable natural gas (RNG) in its existing fleet of more than 340 compressed natural gas buses – and will add 202 new buses. The transit agency is looking for a supplier to provide a guaranteed supply of RNG to its four facilities; the supplier will develop and manage OCTA’s Low Carbon Fuel Standard (LCFS) program. Honda fuel cell car: It’s take a while, but Honda is getting ready to unveil its fuel cell vehicle, currently being named the Honda FCV. It’s scheduled to be rolled out at the Tokyo Motor Show, and will feature a very similar look as the finalized version Honda will be bringing to market next year. Honda said it has made a few changes to the FCV since introducing it as a prototype in November 2014.The range is being extended to more than 300 miles; that will place it in a competitive position with the 301-mile rated Toyota Mirai. Volkswagen has added another law firm to it defense strategy – Kirkland & Ellis, which represented BP in the Deepwater Horizon oil spill law suits and settlements. Yesterday, I spoke with an attorney who represented corporations, small business owners, and local governments in a class action lawsuit for parties that experienced economic losses and environmental disasters associated with the oil spill. Thomas Young, who heads a law firm based in Tampa, Fla., is now working with other attorneys to file a class-action lawsuit representing dealers, fleets, and other entities affected by the economic impact of VW’s diesel car emissions reporting scandal. The recall, which won’t go into effect immediately and is awaiting detailed guidelines from the U.S. Environmental Protection Agency (EPA), affects 482,000 cars in the U.S., could eventually cost the company about $18 billion to repair, and could include a $37,500 fine per vehicle given to VW. 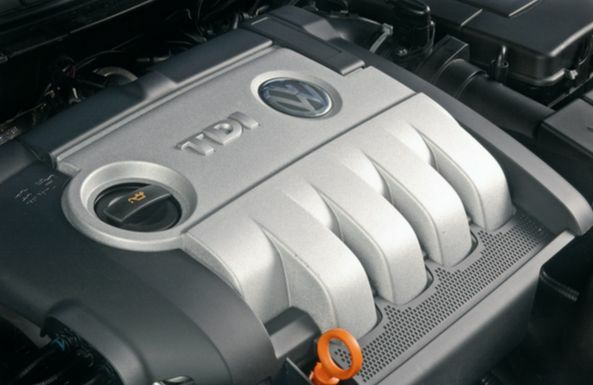 Affected diesel models include the 2009-15 Volkswagen Jetta, 2009-15 Beetle, 2009-15 Golf, 2014-15 Passat, and 2009-15 Audi A3. VW is expected to negotiate a per car fine with EPA at a lower cost than the $37,500 maximum, but the lawsuits will be staggering. According to Young, over 300 lawsuits have been filed across the country with most all of them class actions and 99% filed on behalf of consumers. Young is organizing a class-action suit representing businesses that will be hard hit by the declining used car values and other costs associated with the crisis. With a widely publicized crisis like this one, it’s typical to see lawyers all over the country filing lawsuits and eventually consolidating down to a much smaller number of suits – perhaps one federal lawsuit representing all injured parties. The U.S. Judicial Panel on Multi-District Litigation (JPML) will meet on Dec. 3, 2015 in New Orleans to hear arguments on where to consolidate the 300-plus lawsuits; that decision should be announced in January 2016. Early front runners for the class-action suit are federal courts in New Jersey, Virginia, or California, Young said. 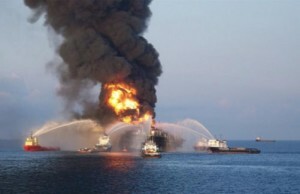 For the BP oil spill, the impact for the oil company was as much about it reputation and image in the world as it was about the environmental and economic damage, Young said. With the Deepwater Horizon spill, the amount of oil that washed up onshore was less than the public’s perception of how much oil was spilled and the environmental damages. The economic impact was felt by local communities with about $20 billion in estimated losses from dramatically declining tourism business in the Southeast U.S. Young estimates that BP paid out about $60 billion in cleanups and lawsuit settlements. Young and other attorneys are carefully watching how VW responds to the crisis, what the EPA will issue in its recall guidelines, and how dealers and other businesses will be impacted. The lawsuits being filed are also gaining their attention and analysis – including Harris County, Texas, filing a multimillion dollar lawsuit this week stating that VW contributed to the region’s poor air quality in the Houston metro area. Independent auto dealers have filed suit against VW in a California federal court on behalf of independent dealers for losses they say they will incur as more information on the scandal is released. A pension fund in Michigan has filed the first investor lawsuit against Volkswagen over its drastic stock drop in the aftermath of its emissions scandal. Owners of VW diesel vehicles are furious about software that falsifies emissions; they’re waiting to hear how and when the company will fix their cars and what sort of compensation they’ll receive for being lied to since 2009. VW shareholders are paying close attention, as well. Elected officials and regulators in the U.S. and Europe are scheduling public hearings. VW’s top U.S. executive has been summoned to Washington, where he will testify before a congressional oversight panel on October 8. VW appears to be attempting to keep investigation of this scandal in-house, taking care of it on its own. The automaker is facing growing concern that it may need to revise its corporate culture and allow for more outside supervision; as General Motors did with the ignition-switch defect vehicle recall. On Thursday, VW’s board of directors announced that Hans-Dieter Pötsch, VW’s chief financial officer since 2003, would become chairman in the near future, filling the spot vacated by patriarch Ferdinand Piëch, who resigned in April. Deciding to nominate a long-serving executive as chairman has once more highlighted the carmaker’s corporate governance and culture. Some auto industry analysts argue this was the root cause of the diesel-emissions scandal. “There have been warnings about VW’s corporate governance for years, but they didn’t take it to heart and now you see the result,” said Alexander Juschus, director at IVOX, the German proxy adviser. Young is reaching out to dealers, fleets, financial institutions, and other parties economically impacted by the VW diesel crisis. He hasn’t heard of a VW dealer filing suit yet, but he thinks that will happen and that a federal judge will include all VW and Audi dealers in a class-action suit. The legal issues are accountability for accurate emissions reporting, environmental impact, and the huge losses businesses will be feeling from vehicle valuation declines and lost sales that are likely to come from the crisis. Toyota and GM have recovered from huge vehicle recalls, but there will be much weighing on EPA and VW on how the recall is structured and carried out into next year.